Located in Manresa, Barcelona, ​​is the Multicines Bages Centre. These cinemas are part of the Catalan society of cinemas ACEC (Área Catalana de Exhibición Cinematográfica), one of the most important groups of the circuit with 228 cinemas. The owners of the Bages Cinemas had been thinking for a long time about updating and renovating their premises to give them a new image, and once they had finally taken the decision they hired the services of the professional Marta Batlle Beltran, engineer and surveyor, who has been responsible for the design and monitoring of this first phase of the great change that the Bages Cinemas is undergoing, in which she designed a 17-meter bar (without noticeable joints) of Snow White 1100, which is the strong point, both aesthetic and functional, of this image change which brings our KRION® material to the world of cinema. 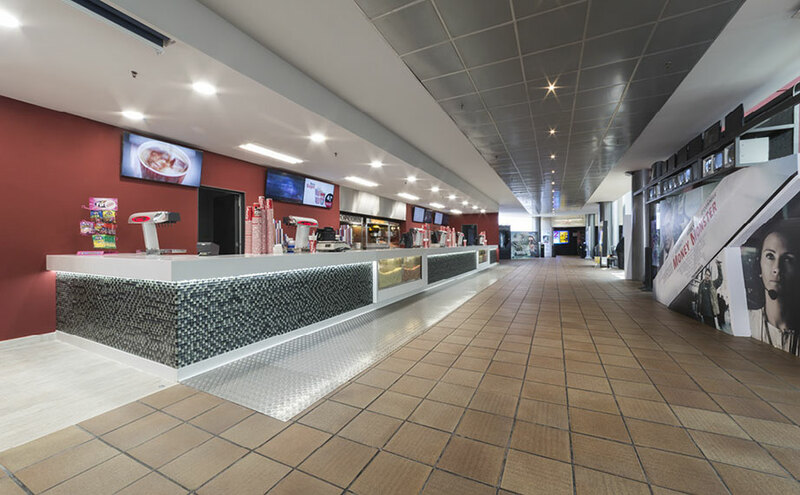 If you have to think of a busy location, one of the places that spring to mind are cinemas. For this reason KRION® is the ideal material, for its easy cleaning, for being anti-bacteria without additives, for the possibility of repair, and after some time has passed we can recover it and surprise ourselves again like on the first day: an investment in the future. KRION® transformed by: Decodis vng.sl.